To view credit card transactions, go to SE Payments Payouts. 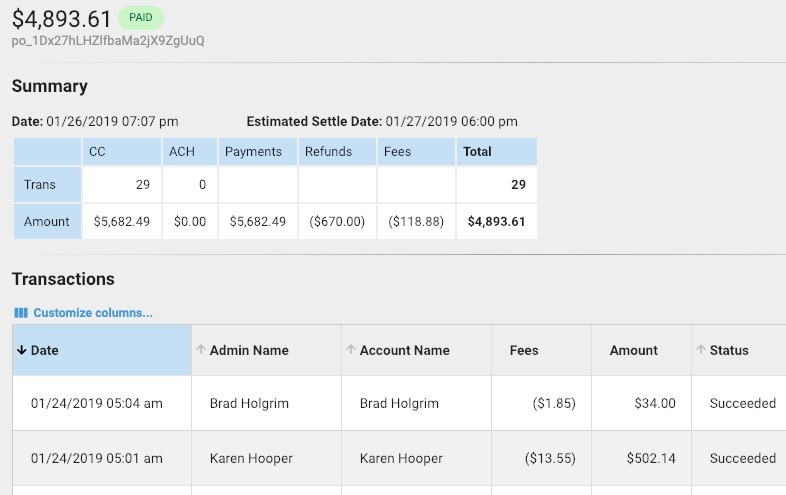 Chameleon users: In the side menu, click Billing Admin > SE Payments Payouts. New CMS users: In the side menu, click Business Tools > SE Payments Payouts. Filter by invoice Status (Canceled, Paid, Failed, Pending). Click anywhere in a row to view all the transactions in that payout batch. You can customize and sort columns here as well.